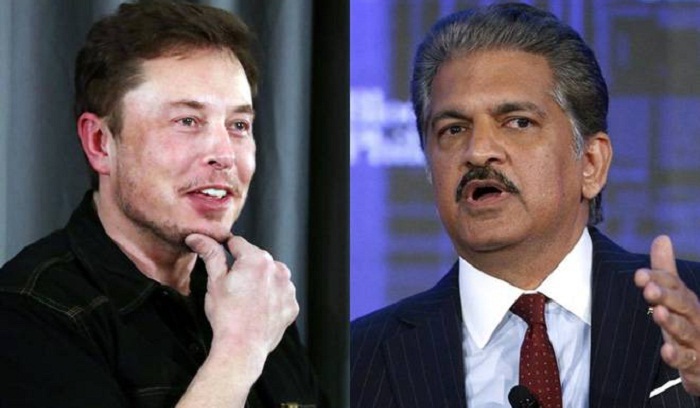 SpaceX CEO Elon Musk's dream to go and live on Mars has got the support of Mahindra Group's chairman Anand Mahindra, who says poets should be sent to the red planet first. Both the visionary entrepreneurs shared tweets, discussing who deserves to go to the planet. Mahindra concluded the chat as he said if poets are not sent on the planet first, there would be no one to make sense why they have gone there. Elon Musk and Anand Mahindra have been friends on Twitter for some time now. Earlier this year, Mahindra had sent some words of encouragement to Musk who revealed in an interview that work-related stress was taking a toll on his health. "Hang in there @elonmusk. Your factory is now humming at a brisk clip. The world needs inspirational innovators like you," Mahindra had written. Musk recently said there was a "70 per cent chance that he will go to Mars", despite a "good chance" of him not surviving. "We've recently made a number of breakthroughs that I... am just really fired up about," Musk said in an interview. "I'm talking about moving there," he had said.